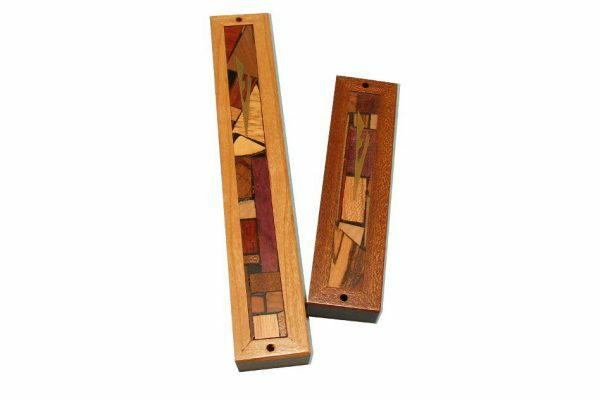 This is a Classic Wooden Mezuzah Case, each made of a combination of different woods in their natural colors. 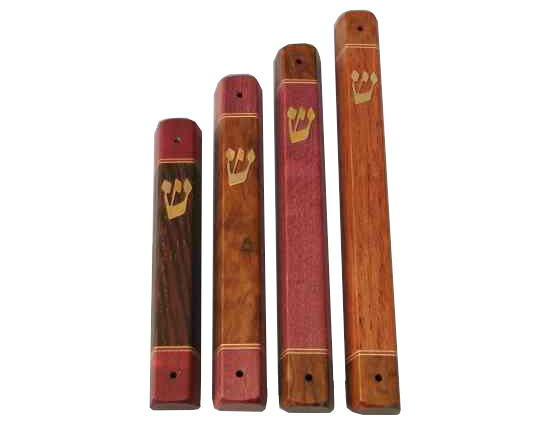 No stains or dyes are used on these mezuzah cases. 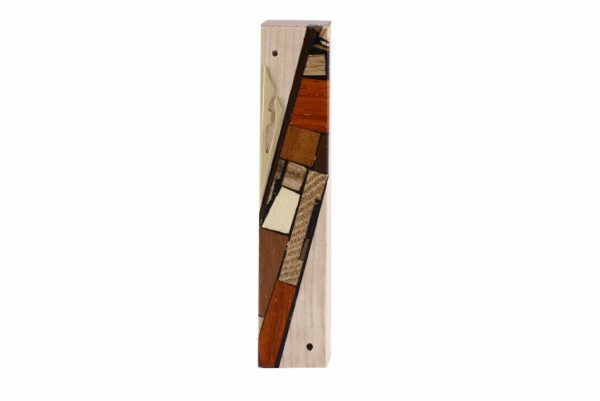 This Classic Wooden Mezuzah Case, each piece unique, and made of a combination of different woods in their natural colors. 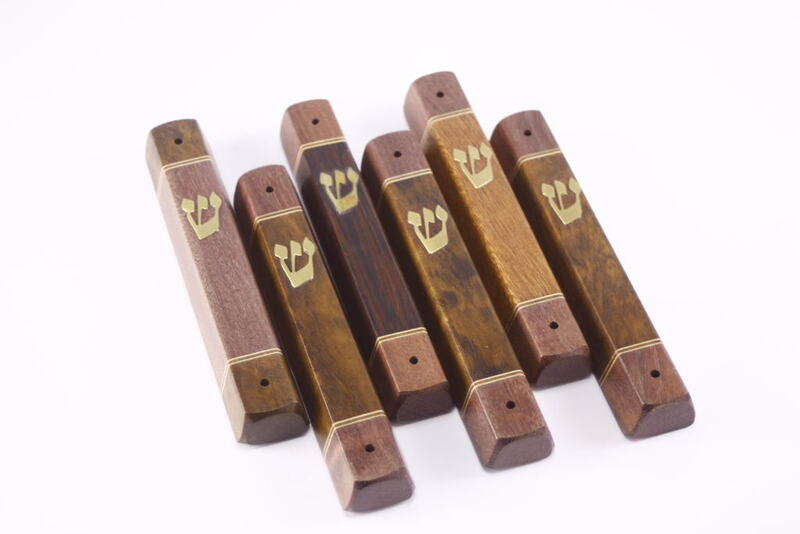 No stains or dyes are used on these mezuzah cases. I am always amazed by the beauty and myriad of colors found in nature in wood. A brass “Shin”, representing G-ds name is applied to the mezuzah case. Choose between Light, Medium or Dark base woods. Comes in 4 sizes; Small, Medium, Large, and Extra Large. Add $53 to purchase the mezzuzah with the scroll (klaf), hand written on parchment. If you have a particular request, for a particular color of wood, contact me.